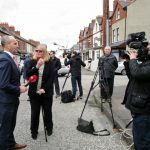 The sound of television cameras and the click of press shutters, broke the silence of the normally quiet residential Grace Avenue in east Belfast. 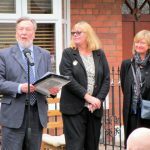 Sports starts mingled with politicians, community representatives and invited guests, to watch football legend Danny Blanchflower being commemorated by the unveiling of a blue plaque at his childhood home. Chris Spurr, Chairman of the Ulster History Circle said that the Circle was delighted that this remarkable man was being honoured, and thanked the Belfast City Council for their support in the funding of the plaque. 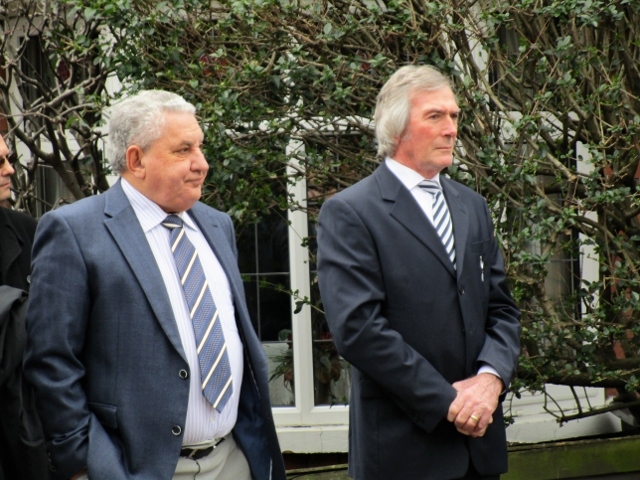 Guests who included FIFA Vice President, Jim Boyce, household names such as Pat Jennings, Jackie Fullerton and Bertie Wright, the oldest living player who played with Danny at Glentoran, listened as the Chairman of the UHC said – ‘Danny Blanchflower’s contribution to the game he loved, whether as a player with the Glens, Spurs and Northern Ireland, or later as a manager, is acknowledged as being amongst the best’. 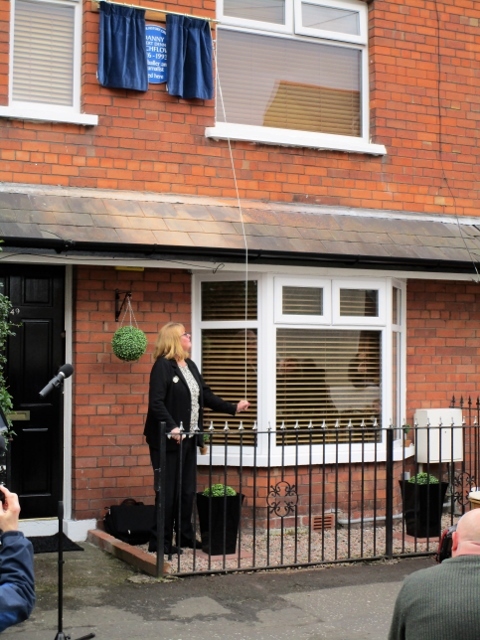 Danny Blanchflower’s daughters, Gayle Blanchflower and Susie Knight watched with pride as glowing tributes were paid by Jim Boyce and Pat Jennings, and as television cameras recorded the occasion, Gayle Blanchflower unveiled the blue plaque to her iconic father. 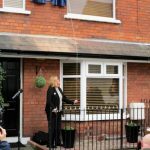 The unveiling was televised on BBC News at 1.00 pm. and was also live streamed to Tottenham Hotspur FC in London. 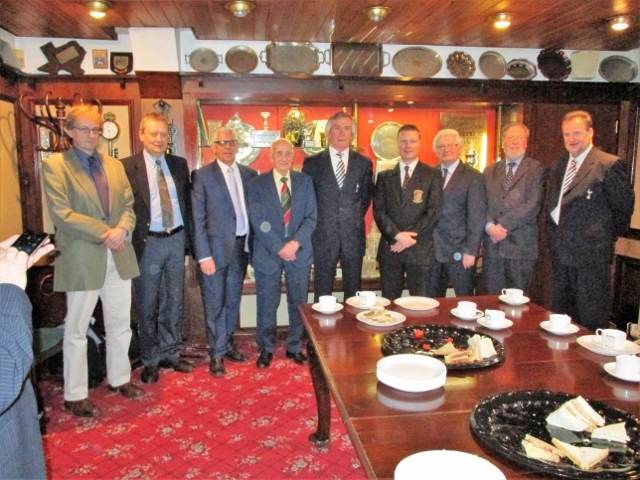 Guests adjourned to the Oval where Chairman, Stephen Henderson welcomed everyone to Danny Blanchflower’s first club where he was a player from 1945-1949. 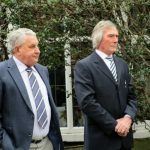 As refreshments were served, further tributes to Danny were delivered by Jackie Fullerton and by Spur’s Head of Publishing, John Fennelly. John said that he was delighted to have been invited to such a wonderful occasion, to honour an Ulsterman who became a Spur’s team captain and who in the 1960-61 season had ensured that the team won their first 11 games (still a record for the top league in English football) and then eventually the league. The final words to such a memorable day were from Gayle Blanchflower who said- ‘the news of the plaque being commissioned came as a delightful surprise: I will never ever get over how Danny is still remembered after all these years. Not just by Northern Irish people, but throughout the world’. Chris Spurr, Chairman Ulster History Circle with Gayle Banchflower daughter of Danny Blanchflower, and Christa Glover, daughter of the late Jackie Banchflower. Jim Boyce, Vice President of FIFA with Pat Jennings, one of the greatest goalkeepers of all time. 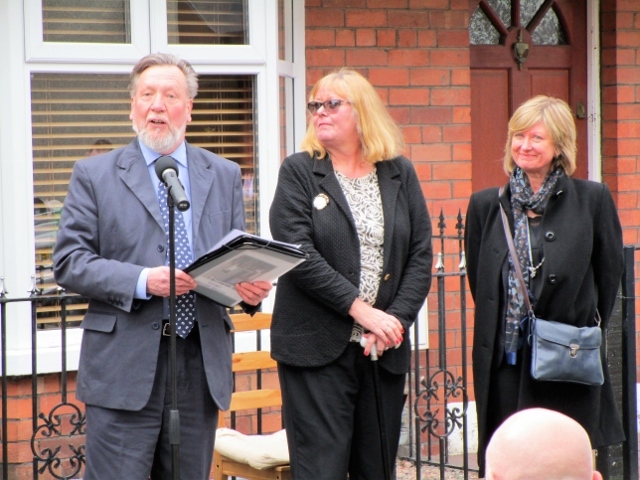 Gayle Blanchflower unveils the blue plaque to her father. 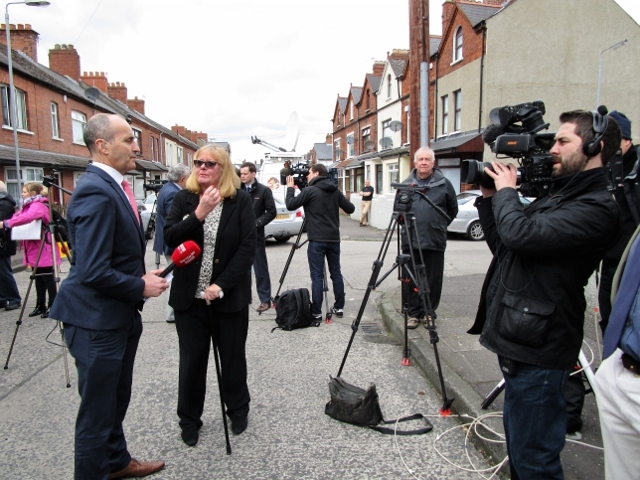 The event attracted vast media attention. 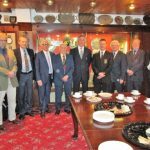 Members of the Ulster History Circle with Board members of Glentoran FC, Pat Jennings, Jackie Fullerton and John Fennelly of Tottenham Hotspur FC.